Still using Internet Explorer Exploring The New Internet Explorer 9 Beta Exploring The New Internet Explorer 9 Beta Read More ? If so, you should check your Windows Updates to make sure that you’ve received a new IE9 patch that has been rated as “critical” by Microsoft. The patch is designed to protect against 8 specific vulnerabilities discovered in Microsoft’s web browser. While the details of each are not revealed, the company did state on its Security TechCenter blog that the worst vulnerabilities allowed for remote code execution 5 Ways to Protect Yourself Against Keyloggers 5 Ways to Protect Yourself Against Keyloggers Keyloggers are one of the most feared threats to computer security. Heed these tips so you don't fall victim to hackers. Read More . If a user with administrative rights visited a site that takes advantage of this exploit, an attack could do significant damage before the user realizes something is wrong. 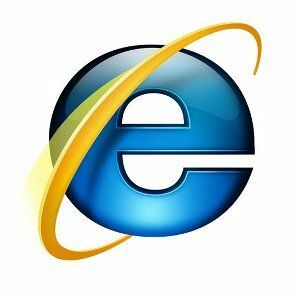 Solving this threat required that Microsoft modify “the way that Internet Explorer handles objects in memory and the way that Internet Explorer allocates and accesses memory.” Thus, the patch. Users who have for some reason turned off automatic updates How To Roll Back Windows Hot Fixes & Patches How To Roll Back Windows Hot Fixes & Patches Read More can install it by opening Windows Update and browsing to the Important Updates. Select the update related to this threat and then click the install button. This will install the IE9 related update only. Explore more about: Internet Explorer, Microsoft, Software Updater.